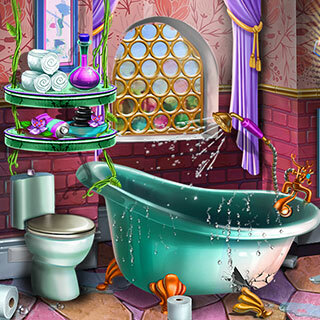 Sisi gathered the best decoration games for her fans! Room decoration games for those who love arhitecture and interior design. Be creative and place furniture, windows, wall decorations like canvas paintings or sculptures, create your own living room, bedroom and even bathroom. Food decoration games for greedy girls who love a good looking dish and feel its taste when they see it. Decorate pasta, cakes or pizza with special ingredients and eatable decorations, they will look fabulous and taste delicious as well. Landscape decoration games for very creative girls that are into nature and beautiful arrangements. You can make flower arrangements, decorate an undersea scene, a wonderful garden and much more. Just play around with decorations and make it look interesting. Play awesome decorations games with Sisi and enhance your creativity!